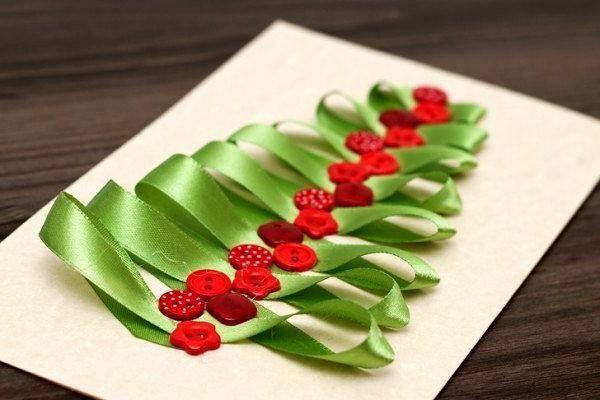 Christmas wreath at the door - popularFestive decoration in Western countries. 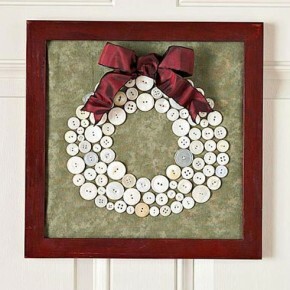 Most often, wreaths hang from the outside of the door of the house. 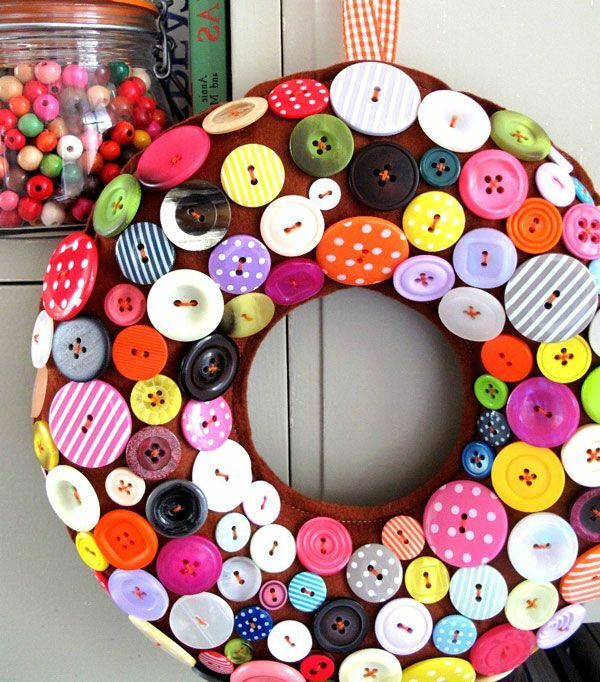 Nothing prevents us to inherit the tradition of decorating the interior of wreaths for the holidays. 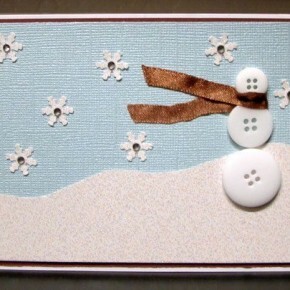 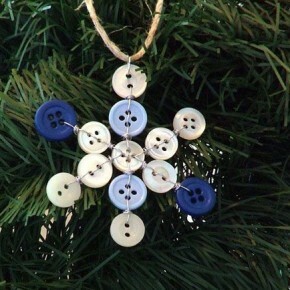 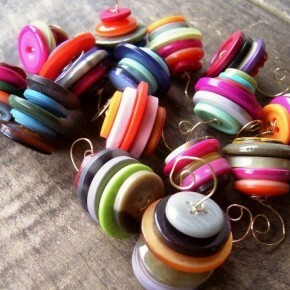 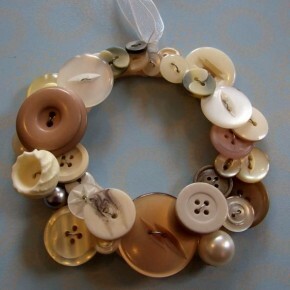 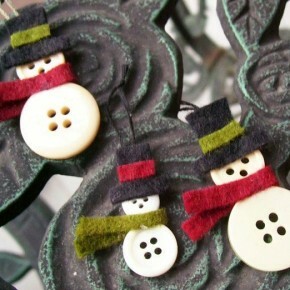 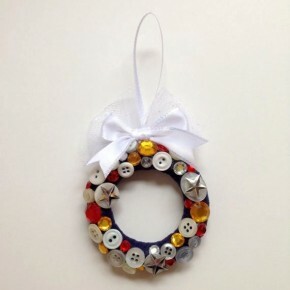 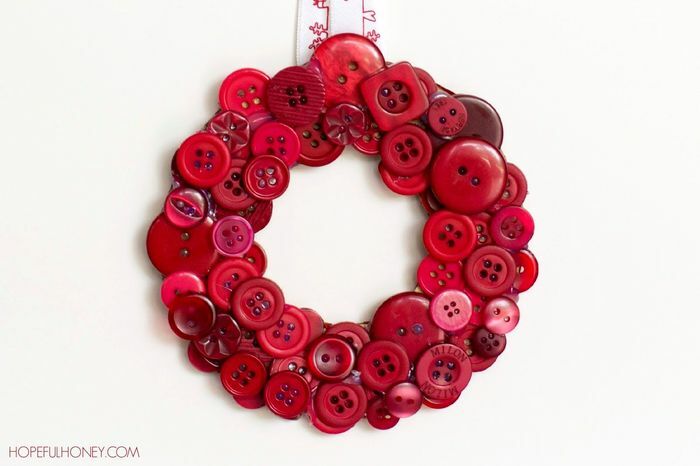 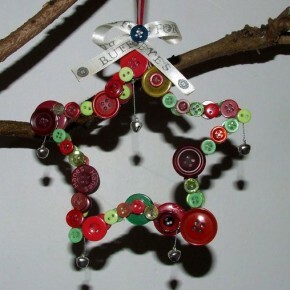 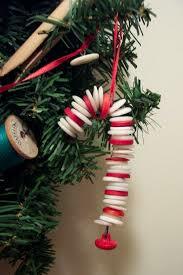 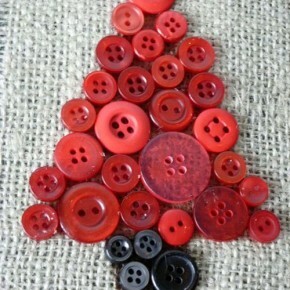 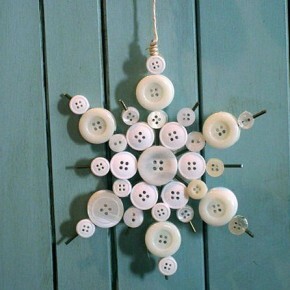 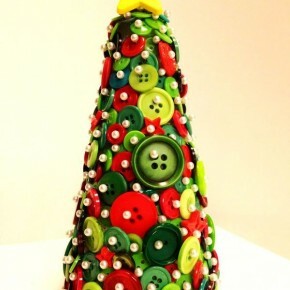 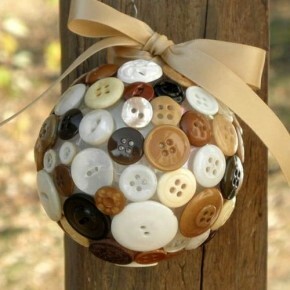 A wreath of buttons can be made in several ways. 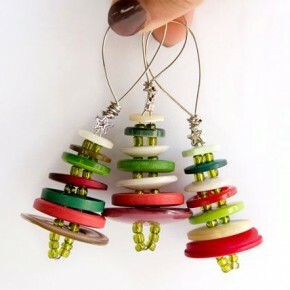 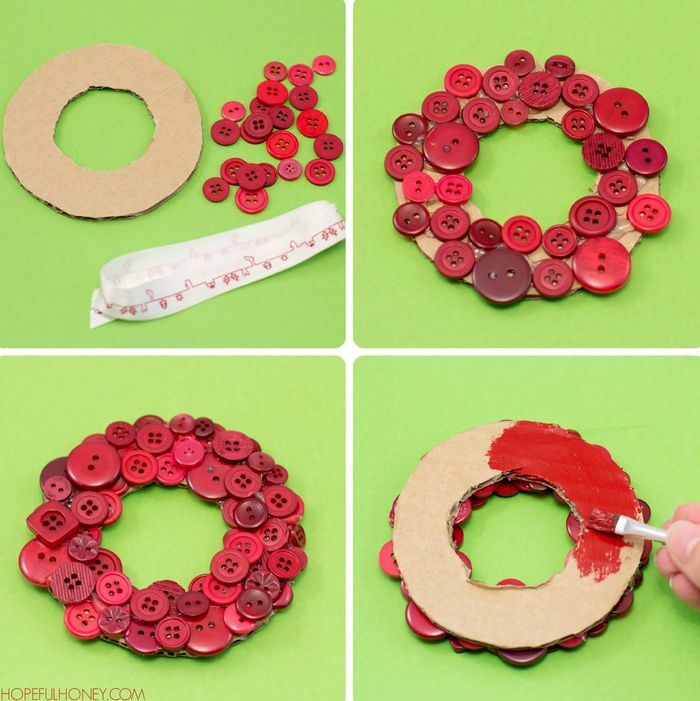 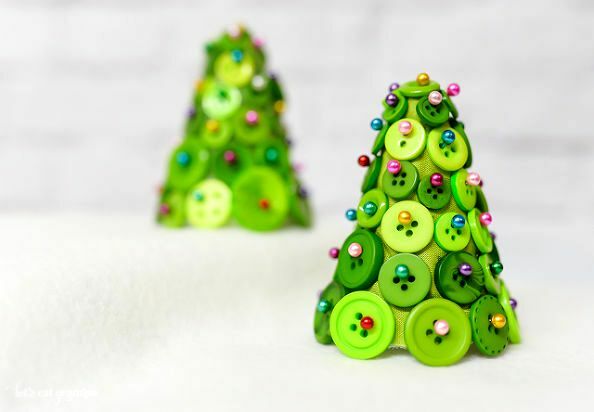 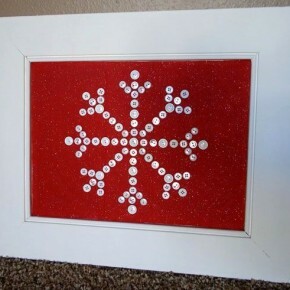 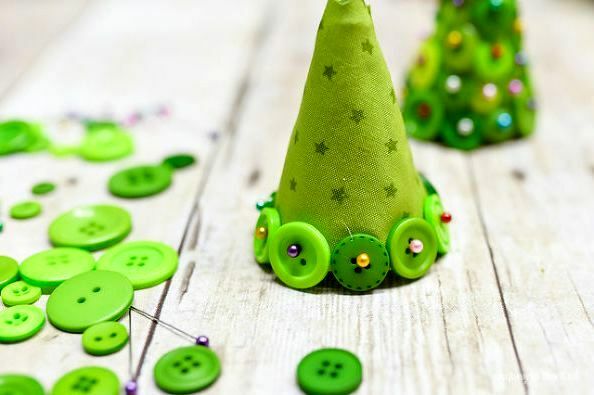 The buttons can be glued on a cardboard circle, like this: To make a three-dimensional wreath from buttons, you can sew a cover, fill it with a sintepon, and sew buttons on top. 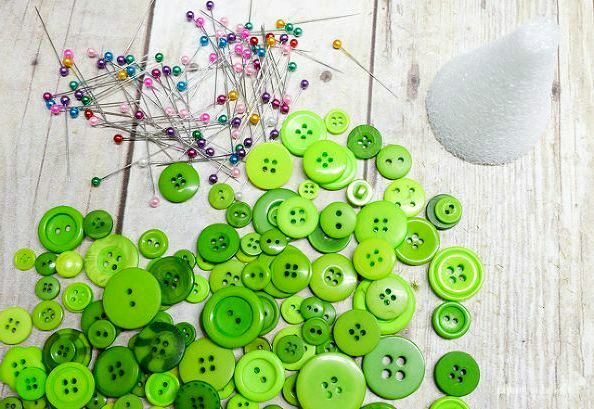 Pins (or glue, wire, thread with a needle). 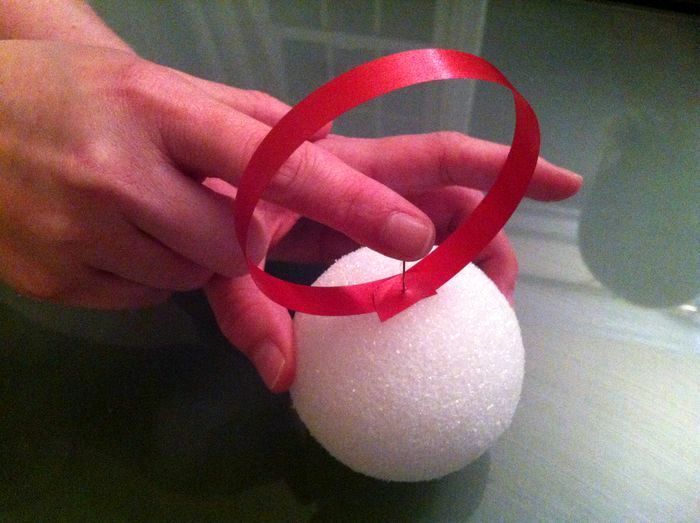 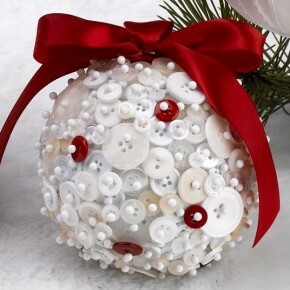 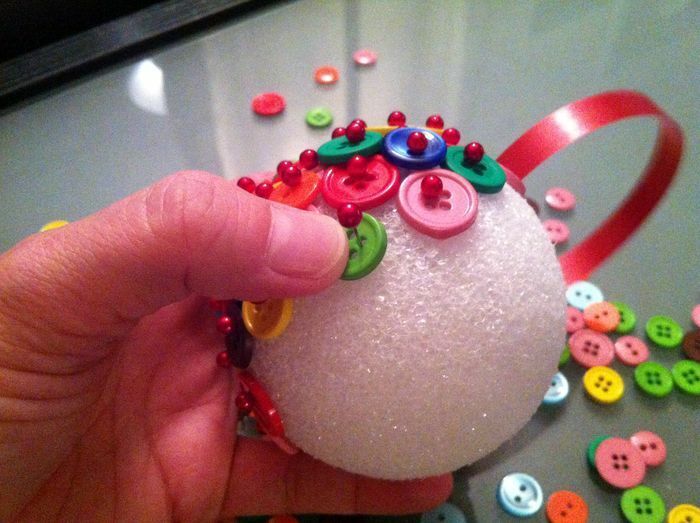 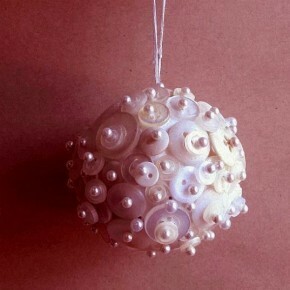 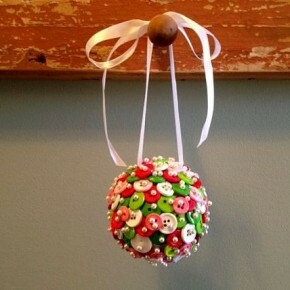 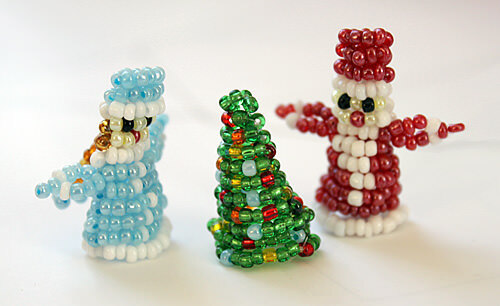 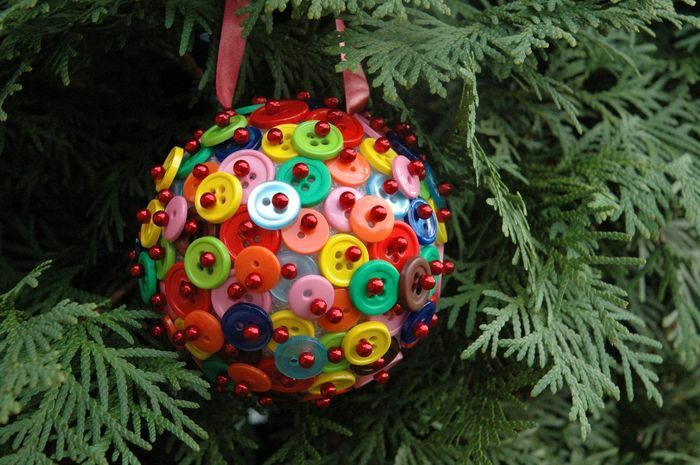 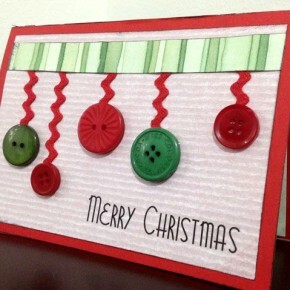 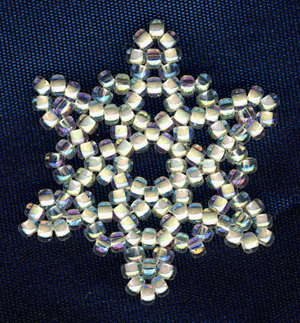 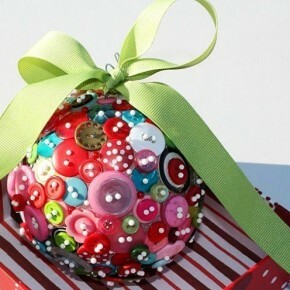 The course of work is identical to the creation of Christmas balls withButtons. 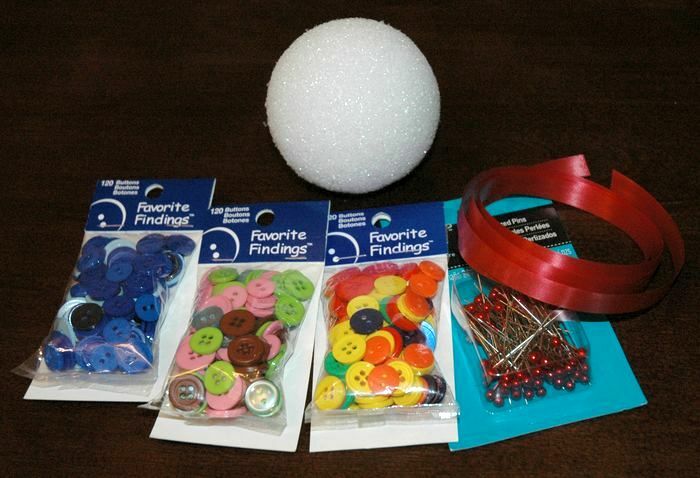 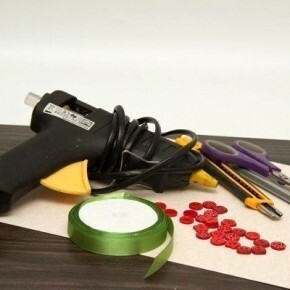 If you use a cone of foam or other foam material, then the buttons to the base can be fastened with pins. 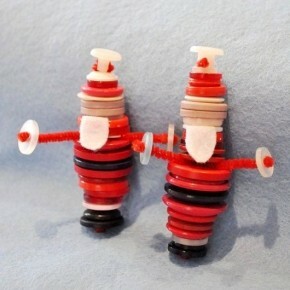 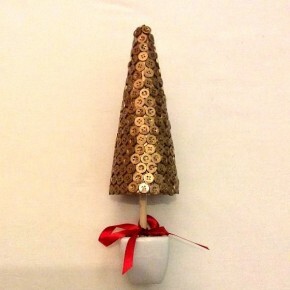 If you have a cardboard cone, then you can sew on the buttons with thread or wire. 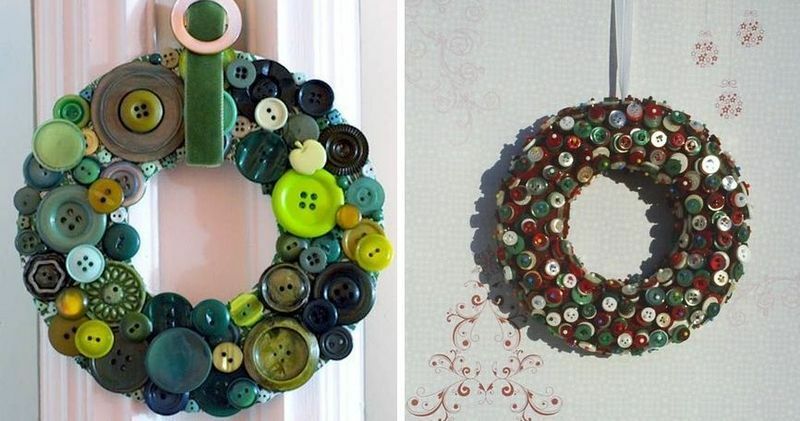 Also in both cases, you can use glue. 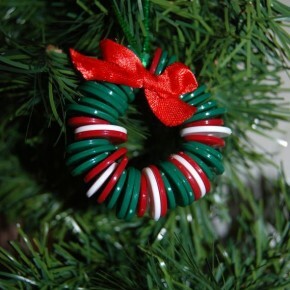 The basis is tentatively better painted in green or covered with a green cloth or paper. 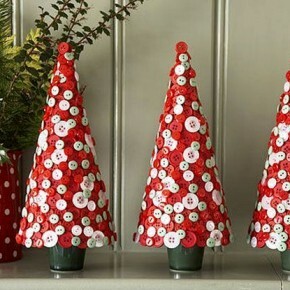 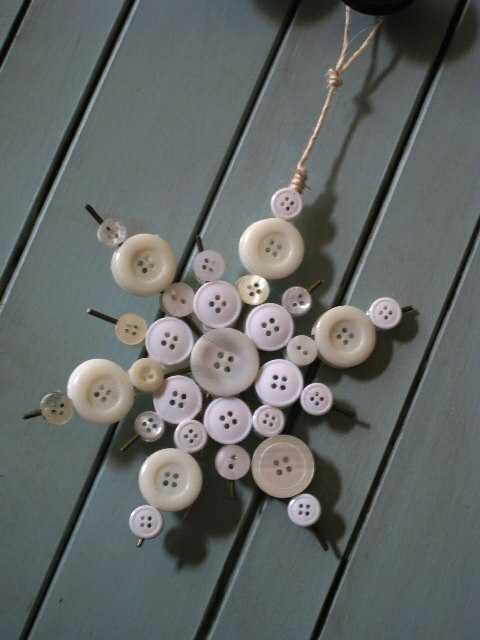 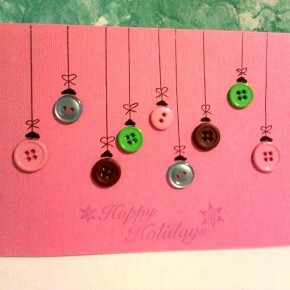 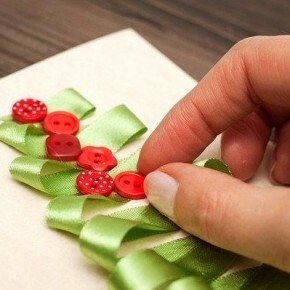 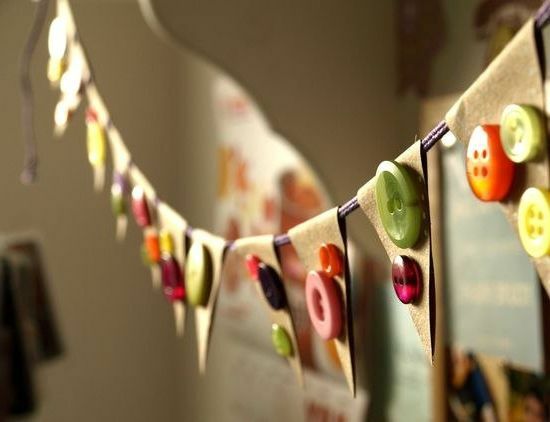 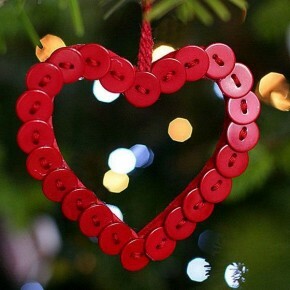 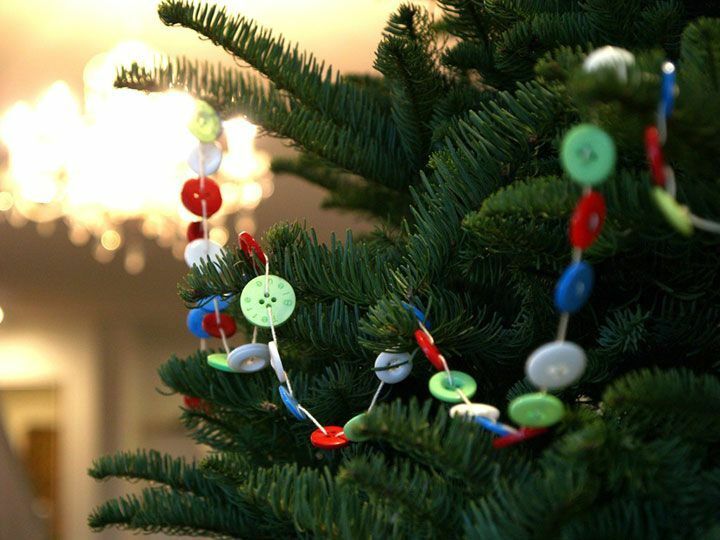 It's very easy to make a long garland of buttons. 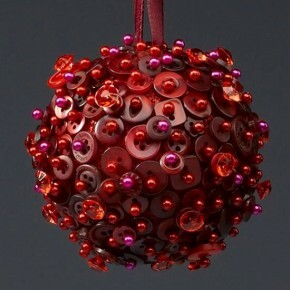 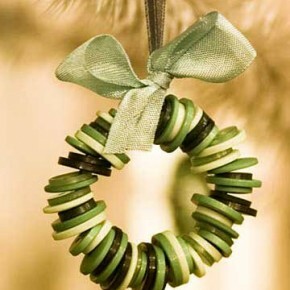 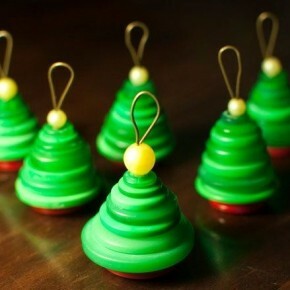 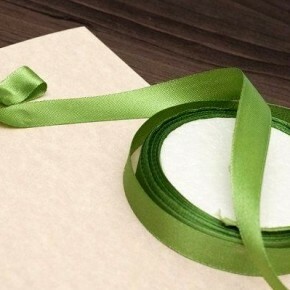 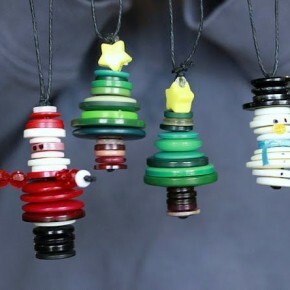 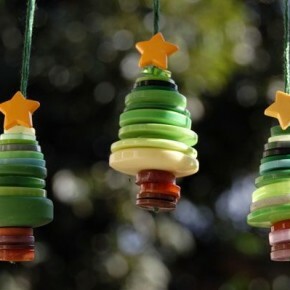 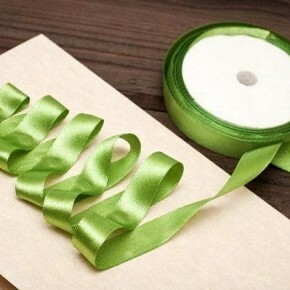 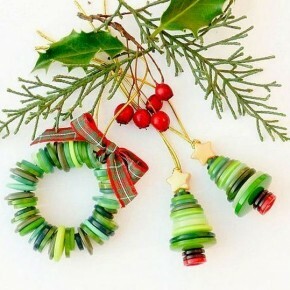 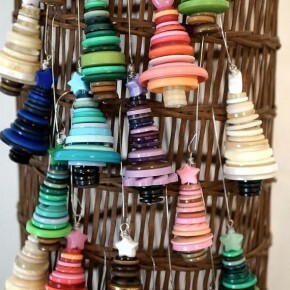 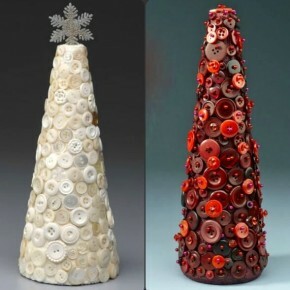 It will take a while, but such an unusual decoration on the tree or in the room will look very interesting.